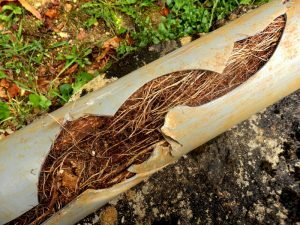 What to Do about a Damaged Sewer Line | Reliance Plumbing Sewer & Drainage, Inc.
What Does Scaling Mean for Your Water Heater? In our area, it’s very rare that homeowners live without basic modern plumbing. Given that, this means you have a sewer line that runs beneath your property, where it connects to various drain lines in your home. This underground location of your sewer line protects it from damage (for the most part). When trouble does pop up, they can be a pain to repair. At least, it used to be a pain for plumbers to fix. With advancements in technology, our plumbers are able to conduct Glenview, IL sewer repair relatively easily and efficiently, in a fraction of the time this service used to be available, and for less money too! If you suspect you might have a sewer line issue, or you know you have a sewer line damage, the best thing you can do is give our team a call. Sewer lines aren’t particularly susceptible to any specific problems outside of other pipes throughout your home are—such as clogs corrosion, or leaks. That’s not the problem—the problem came from how inaccessible sewer lines are. In the past, the repair or replacement of sewer pipes requires a team of plumbers doing a complete excavation in order to reach the affected pipes. This required expensive equipment rental, often days to complete the job, and a busted up yard for homeowners to deal with after the fact—this is especially a pain if you’d had trees or plants growing in your yard. Trenchless sewer line repair and replacement allows our plumbers to access sewer lines with nothing more than a single hold at each end of the impacted pipe. This requires less equipment use, less labor, and less disruption to the property. With the right tools and manpower in place to get the job done, your sewer line repair or replacement could take as little as 2 days. And there’s no need to worry about completely re-landscaping your yard afterward (although, to be fair, if you had tree roots infiltrating the sewer pipe, this could happen again and it might be best to remove the tree(s) in question to prevent the problem from happening again). Additionally, trenchless technology makes sewer line repair a far less costly problem for homeowners to address. This is a great question! After all, your sewer line is located underground—out of sight out of mind, right? This means that when something does happen, you might not even know about it unless dirty water starts backing up in your drains. This is the last thing we want for you! Some signs you can watch out for that indicate your sewer line is in trouble is slow moving drains throughout your home, foul odors coming from your drains or backyard, and puddles forming in the yard with no other known cause (like rainfall or a broken sprinkler head). Watching for these signs and being proactive about calling in a professional plumber is the best way to mitigate loss.